Our philosophy is an easy one: doing it right the first time. When using spray foam, we make certain to understand the challenges of the project, and choose the product or product combination that best suits the job. Our team is skilled and well trained, the best in the business; proficient in their areas of expertise. We follow construction and building codes; obey the local and provincial by-laws, and install based on manufacturer’s product specifications. Simply put, we appreciate the nuances of the spray foam product. We know how to appropriately prepare a work area; always use the proper safety equipment and wear the proper protective gear, and always take the necessary precautions to safeguard occupants. As partners with Efficiency Nova Scotia and the Better Business Bureau, customers can rely on us to stand behind everything we do. 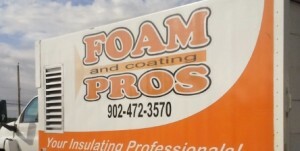 Save money on your energy bills by scheduling a free estimate with Foam and Coating Pros today!